100th Postal Birthday Party Committee (1998). 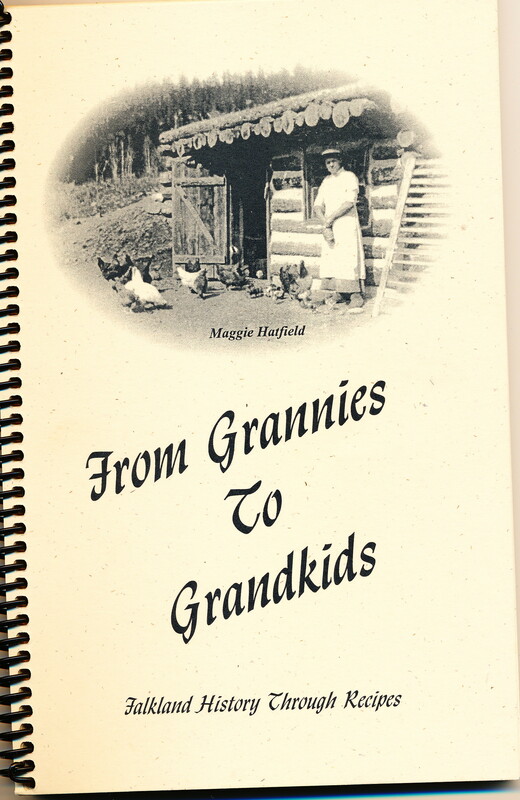 From Grannies to Grandkids, Falkland History through recipes. Falkland, BC: Author. This book expects the user to have some knowledge of food preparation. For example a few recipes do not detail method of combining ingredients but simple state: “ Mix together like a cake.” There are no metric measures for recipes – Imperial only, and format for abbreviations varies. Contributors for all recipes are named and most are accompanied by stories. There is a vast range of and some rare and unusual recipes included: Baking Powder Bread, Oatmeal Water, Cake Doughnuts, Champagne, Haggis, Laxative, Exterior Wood Stain, Ginger Ale, Library Glue, Play Dough, Sweet Green Tomato Pickle, Pickled Chicken, and Coal Flowers. This is my go-to book for a recipe for Brownie Pudding, a comfort food from my childhood and still so delicious today! It’s like an inside out lava cake only better! You might find the recipe for Coal Flowers interesting. Google claims they were invented by coal miners’ wives in the 1800s who had lots of coal and attempted to use it to create beautiful flower displays. The flowers are a result of a chemical reaction and crystal formation that grows from the coal. Lost orchards, vanishing fruit farms of the West Kootenays began as a thesis in the History Department at The University of Victoria in 1996. It documents the development and decline of the fruit industry in the West Kootenays, an area that encompasses Nakusp, Kaslo, Nelson, Castlegar, Trail and Creston. It contains tables that list pre-emptions of land made between 1888 and 1904 in the region and statistics on fruit production from 1913 to 1934. The bibliography is comprehensive and the book is indexed. It is beautifully illustrated with maps and archival photos in both colour and black and white. 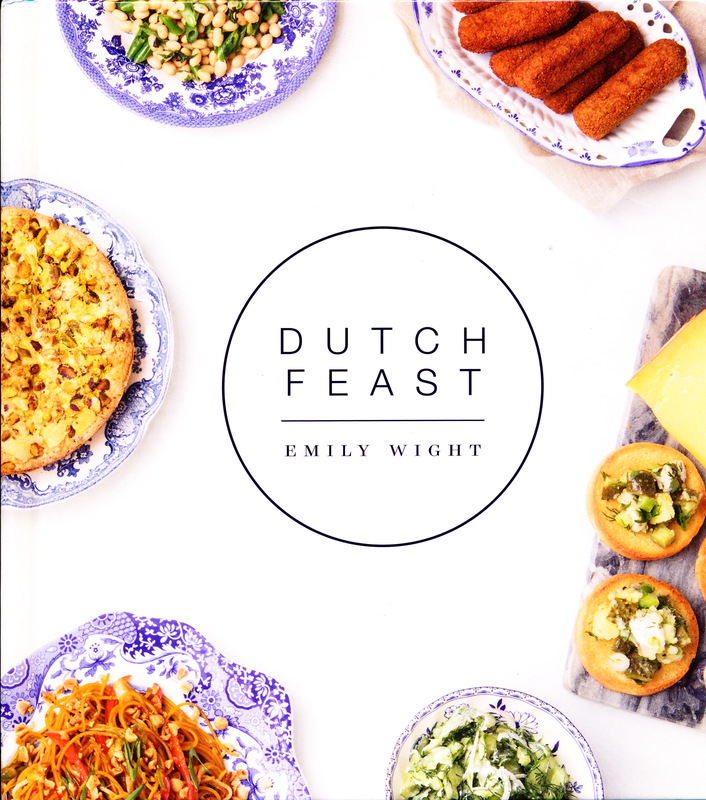 Emily Wight is on a mission to inform us about and have us gain an appreciation for Dutch foods. She claims a couple of things have led to our under-appreciation of Dutch cuisine. First many tourists don’t experience foods beyond Amsterdam and thus miss out on some of the best foods available. Secondly the Dutch character that desires to fit in and not draw attention to itself has led to the cuisine being quietly present within homes rather than in restaurants, and foods that the Dutch have influenced such as coleslaw, pancakes, doughnuts and apple pie have quickly become North American food. Wight describes Dutch cuisine as local, simply prepared, thrifty and practical. The bold flavours come from its colonial history and borrowing flavours from Indonesia, Suriname and neighbouring Belgium. She sums up Dutch cuisine as: “inspired by local, seasonal ingredients, international flavours, and a profound love for sugar, dairy products and breads feature prominently and cheese is a source of national pride” (p. 13). Wight offers a very informative book; a great combination of recipes and information. She provides background information in each section and a brief commentary with each recipe. She includes brief history – for example that the Dutch occupied Indonesia for 350 years that ended only in 1949! Wight writes with humour and many personal anecdotes. She offers philosophy –“the way we eat can change how we see the world!” (p. 41) and gives a list of recipes such as butter cake, sugar bread, bitterballen, etc. to begin our cooking adventure if we are new to Dutch cuisine. Although most tempting to me is Salted Licorice Ice Cream! She provides extensive information on key foods such as licorice, pancakes, mashes, beer, genever, potatoes, herring and chocolate. 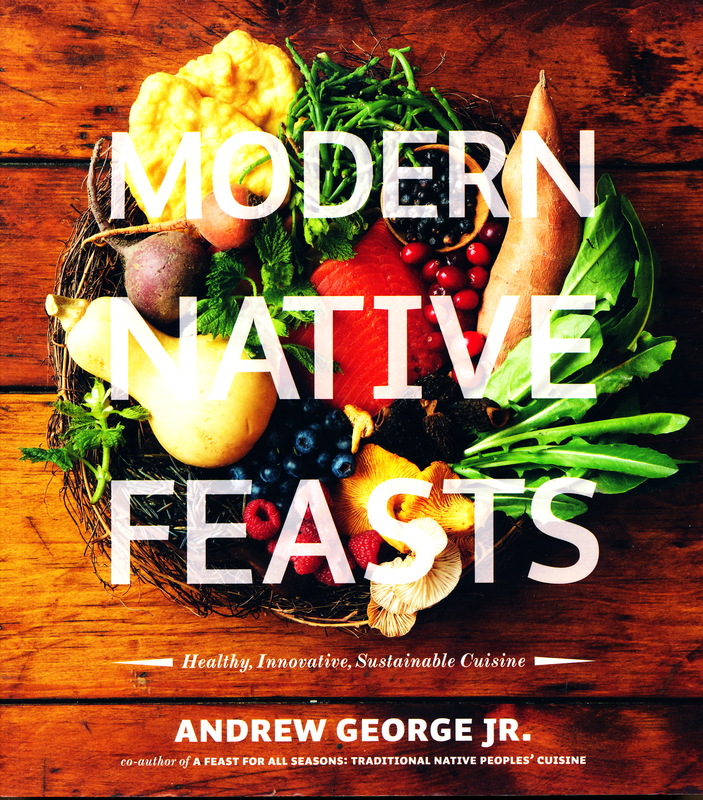 Andrew George, author of Modern native feasts, healthy, innovative, sustainable cuisine is from Wet’suwet’en First Nation in northwest British Columbia. He was head chef at the Four Host First Nations pavilion of the 2010 Winter Olympics in Vancouver. He is a chef educator with a particular interest in encouraging healthy, local eating among First Nation youth (see www.storyhive.com/project/show/id/850). He has authored three recipe books. This book is a fusion of traditional foods with modern ingredients and techniques. It promotes aboriginal cuisine and culture, using simple easily available foods. There are many recipes that use wild game (elk, venison, buffalo, rabbit, duck and geese). There are recipes that use wild ingredients: wild rice, dandelion, huckleberries, saskatoons, salmon, trout, nettles, and seaweed, for example; and recipes for stews, casseroles, breads, bannock, desserts, pasta, and breakfast foods. The recipes are beautifully illustrated and a brief explanatory note is included with each recipe. Gulf of Georgia Cannery Society (2011). 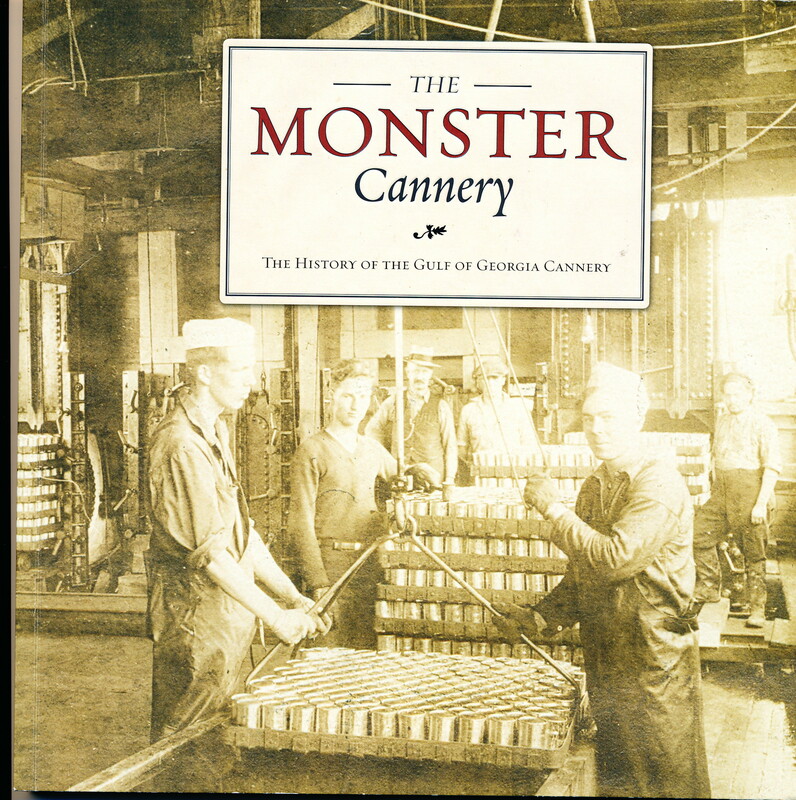 The monster cannery, the history of the Gulf of Georgia Cannery. Richmond, BC: Author. With fr ee admission throughout 2017 in celebration of Canada’s 150th birthday, it’s been a great year to visit the Gulf of Georgia Cannery, a National Historic site. If you can’t visit, The Monster Cannery is a good substitute. 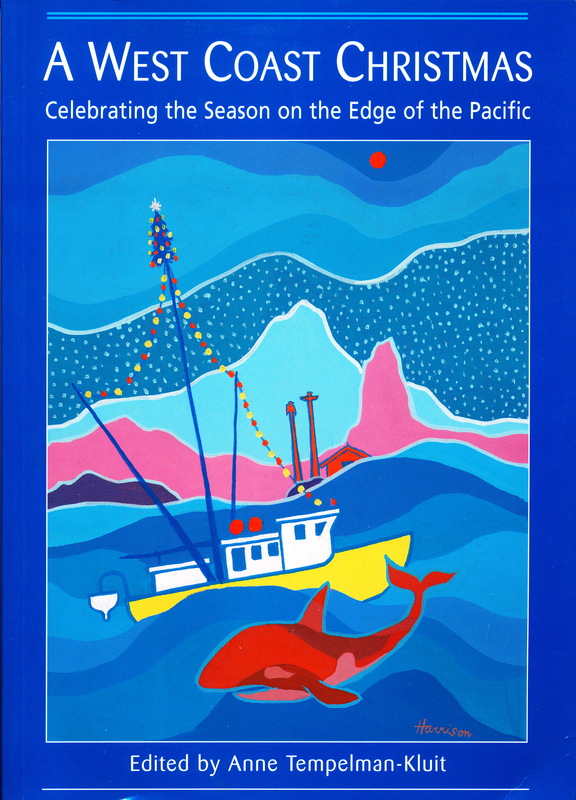 Tt’s worth picking up this book as a reminder of the huge industry that the fishery once was on the West Coast. Salmon was a trading commodity used by the First Nations people for centuries and became an export of the Hudson’s Bay Company at Fort Langley as early as the 1830s. 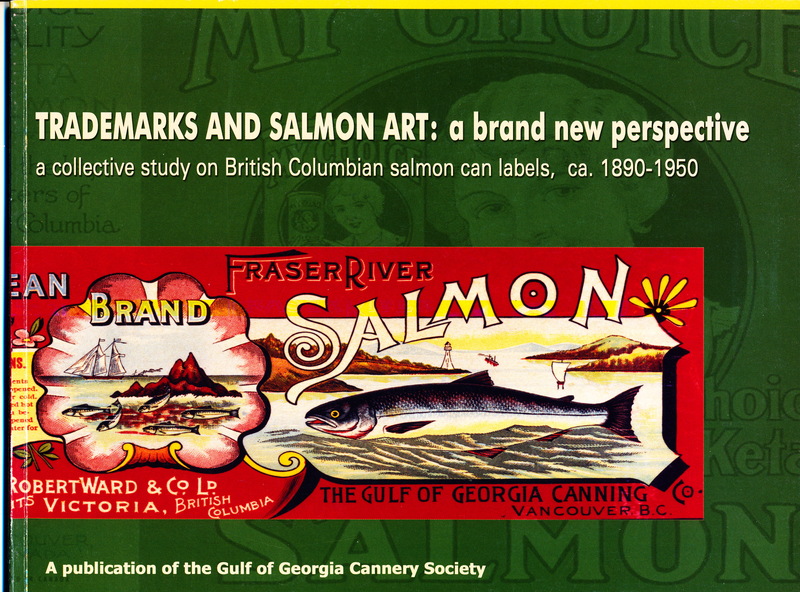 The Gulf of Georgia Cannery opened in 1894 and became one of more than one hundred that existed along BC’s coast. The story of the Cannery is the story of the people who came to work in the industry – First Nations, Greek immigrants, the Chinese and Japanese, people from the Canadian prairies, families, and lots of women. The Cannery story is also a story of technology beginning with the idea of “canning” that made its way to the BC Coast in 1867 and all the machines and equipment that developed to carry out fishing, storing, preparing and processing canned fish and fish products. Many small unions among the gillnetters, cannery workers, and the seafarers for example, developed. In 1945, The United Fishermen and Allied Workers’ Union (UFAWU) became powerful by uniting the interests of many of the small unions in the struggle for improved wages and working conditions. Enderby & District Museum Society. (1999). 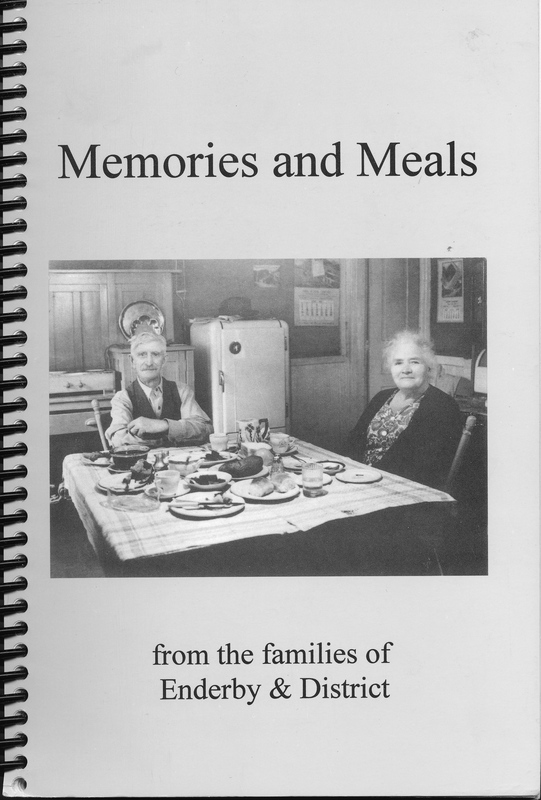 Memories and Meals, from the families of Enderby& District. Enderby, BC: Author. 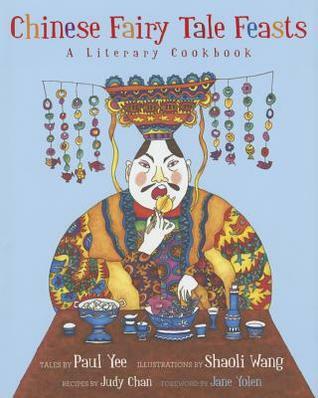 Chinese fairy tale feasts, a literary cookbook. This is a gorgeous little book – beautifully illustrated by Shaoli Wang, with recipes by Judy Chan and stories by Paul Yee. It contains 13 chapters, each beginning with a story either written or adapted by Paul Yee. Each story involves food or cooking in some way and is followed by brief interpretive notes on the origin of story and its main messages. Judy Chan includes a related recipe with notes on how the recipe relates to her family practices and the story. This is a fabulous book to work through with children. It inspires intergenerational participation – grandparent with grandchild, parent with child, teacher with a class of students. There is everything one needs – a story to read, notes for discussion, clearly written equipment and ingredient lists and instructions for making the recipe – and much to learn for all ages! The illustrations are vivid and support the stories and recipes. Bealby, J.T. (1909, 1911). Fruit Ranching in British Columbia. Toronto: Macmillan. 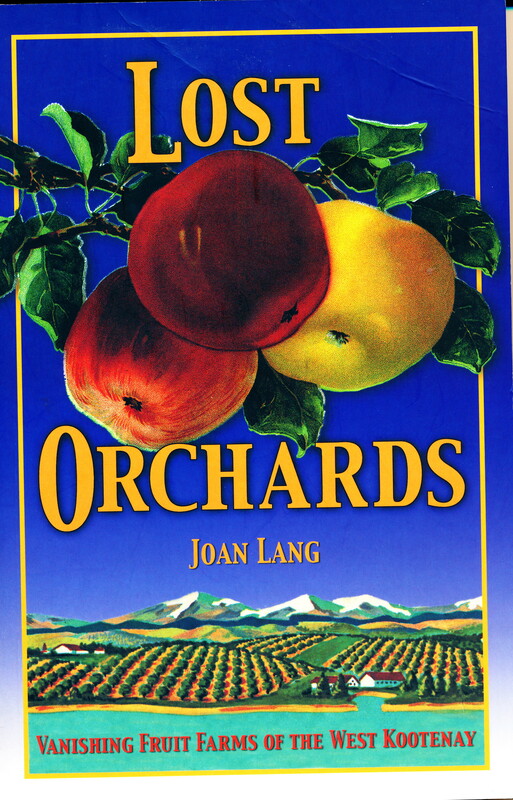 When I came upon Fruit Ranching in British Columbia a few years ago in a used bookstore in London, ON I was drawn to the beautiful cover. I couldn’t resist buying it so I could find out who Bealby was and on what basis fruit “ranching” was being encouraged. Paul Koroscil (2003, 2008) would clearly characterize Bealby as one of the “promoters” or “developers” who from 1890 to the 1920s were very active in promoting the sale and transition of the ranch lands of the Southern Interior of BC from cattle ranching into orchards. Usually these promoters were British settlers who saw that profits could be made by selling the ranch lands to other Brits or colonials who were seeking better farm land and climate. Bealby owned a “fruit ranch” in Nelson and used his book to promote his services that included advising on purchase of lands and managing them for absentee owners. He deals at length with how to establish an orchard, make it financially profitable, and grow award winning quality fruit. He explains the BC landscapes, the dangers of floods, droughts and forest fires, wildlife, and the manners and life of Canadians. 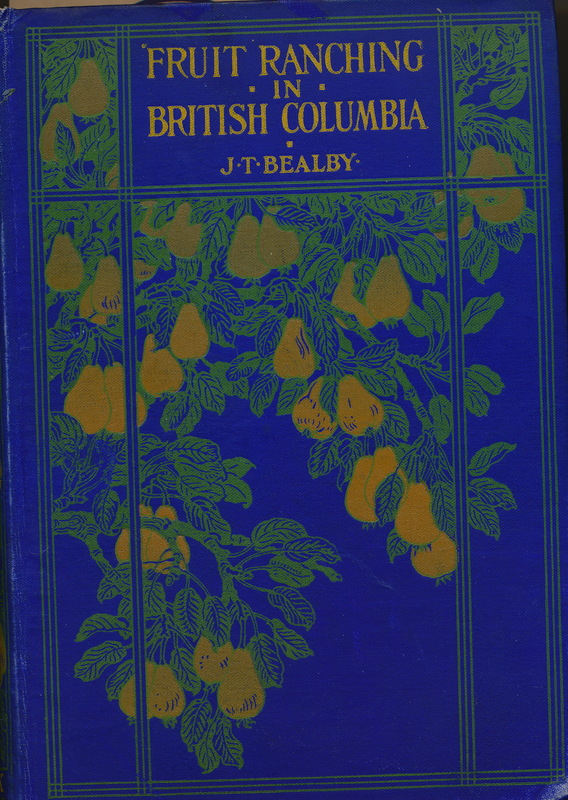 This book is useful to anyone who wants to understand the beginnings of fruit growing in BC’s Southern Interior and the forces that influenced settlement of this area in the early 1900s. Koroscil, Paul M. (2003, 2008). The British garden of Eden, settlement history of the Okanagan Valley, British Columbia. Burnaby: Simon Fraser University. 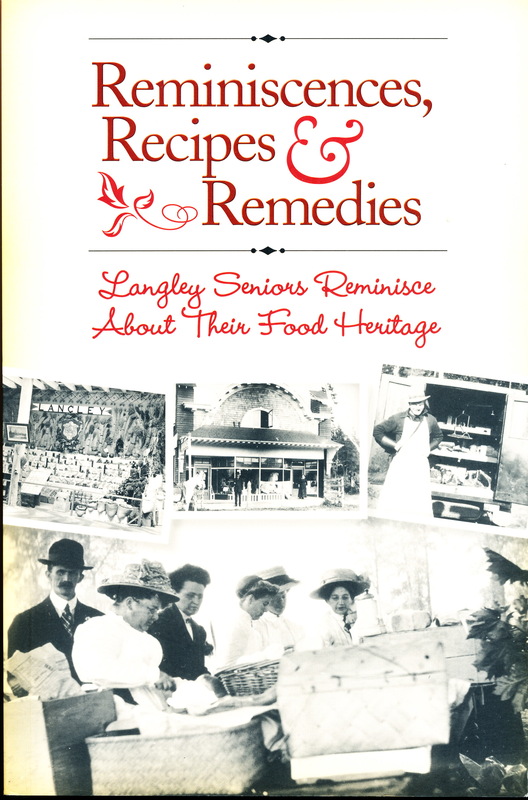 Book Reviews related to Food History in BC Studies This link will take you to a list of books reviewed in BC Studies, a peer-reviewed journal.